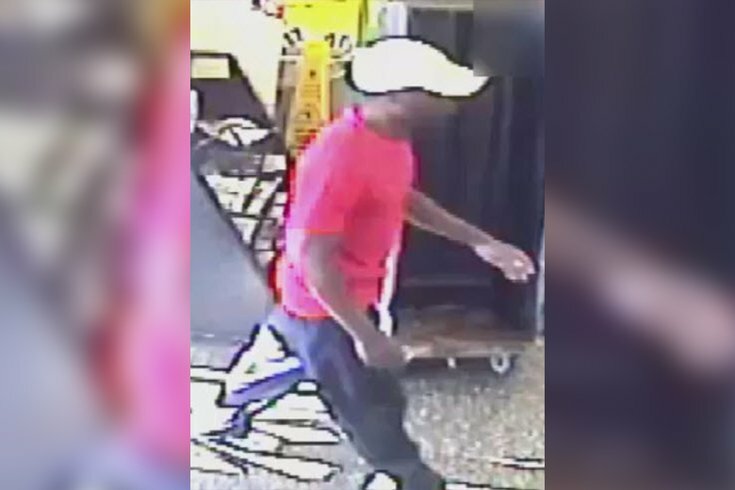 Police say this man robbed the Wawa located at 6400 Torresdale Ave.
Police are looking for a man they say robbed a Philadelphia Wawa of cash and two iced teas with threats of violence. The incident occurred on Sept. 12 at about 4:10 p.m. at the Wawa located at 6400 Torresdale Ave. The suspect entered the store and went to the counter with two iced teas and a note that he handed to the 25-year-old male employee, police said. The note allegedly instructed him to put money from the register in a bag along with the two iced teas, or else "he would hurt them," according to authorities. The employee complied, putting an undisclosed amount of cash along with the drinks in a bag and handing it to the suspect, who fled on foot and was last seen on Levick Street, police said. The suspect is described as a black male with a medium or dark complexion who is about 20 years old and stands 5 feet 8 inches tall with a thin build. He was last seen wearing a red shirt, white Polo cap, black pants and white sneakers. Police ask that if you see the suspect, do not approach him and instead call 911. Anyone with information is asked to call the Northeast Detective Division at 215-686-3153/3154 or the Philadelphia Police Department's tip line at 215-686-8477. Tips can also be submitted by texting 773847 or by filling out an online form. All tips will remain anonymous.